I do love me some new (to me) Pyrex! Flickr tells me that this pattern is called Olive Medallion and was a promotional piece frpm 1964. I've been discovering all these patterns that I never knew existed. While it has been a lot of fun, it has also made me think about that ever growing collection of mine. Thankfully, the local Pyrex ladies and I are planning on renting a booth at a local Sunday Antique Market to tone down a bit of our collections. Those trade nights are fun, but we all end up coming home with new pieces instead of less pieces. Right now we have over 130 pieces in our spread sheet. Even if we don't sell much, it will be a good time. Once we secure the date and which market we're going with, I'll make sure to advertise in case any locals are interested. I had an amazing thrifting date with my mom the other day. 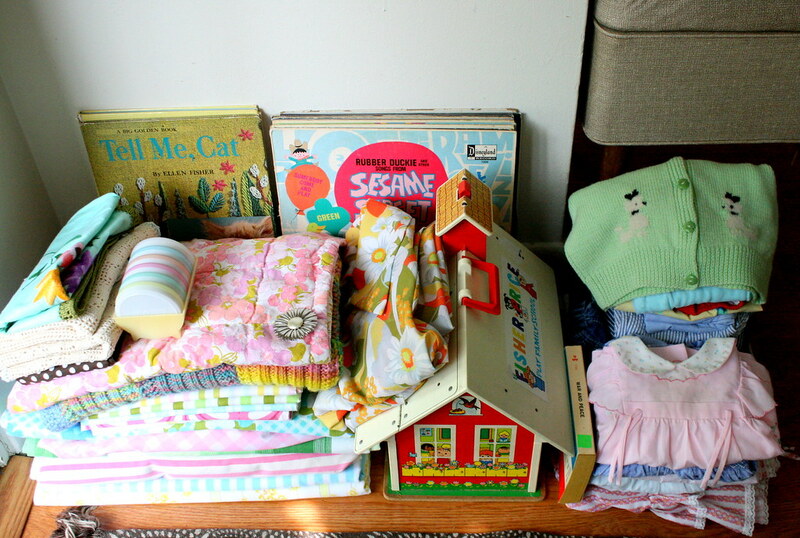 Lots of vintage sheets, frilly baby dresses, a little Fisher Price, and some sweet records. We dropped off three huge bags of our own donations before heading in, so I haven't felt too bad about bringing so much home lately. 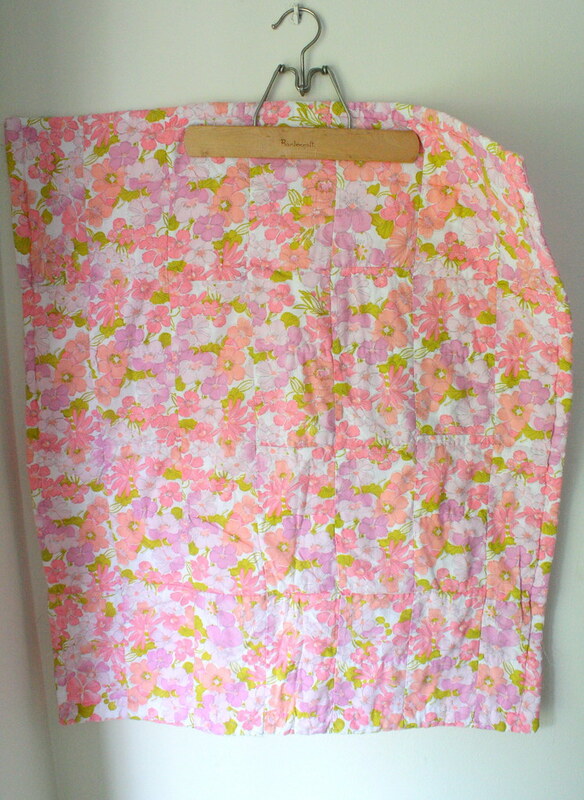 Something interesting is that lately I've found a few finds actually made from vintage sheets. 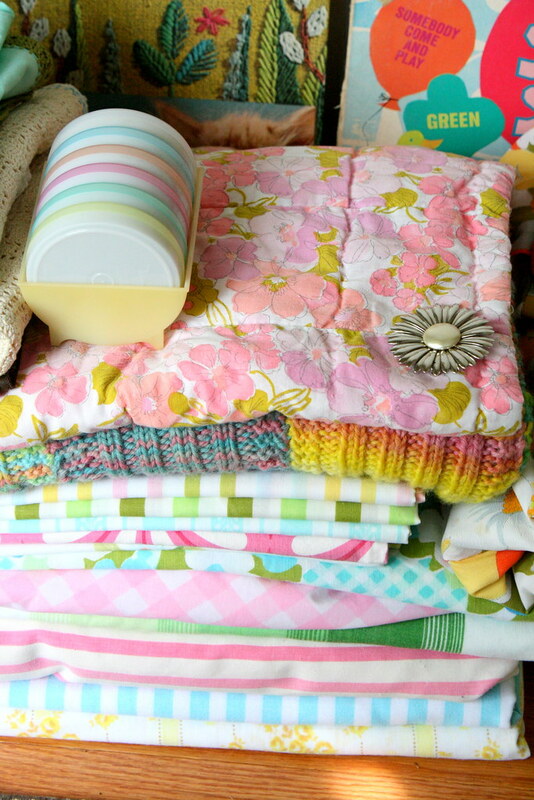 First there were the two aprons, and now this baby quilt. This one is hand quilted and has a solid pink back. I adore it. 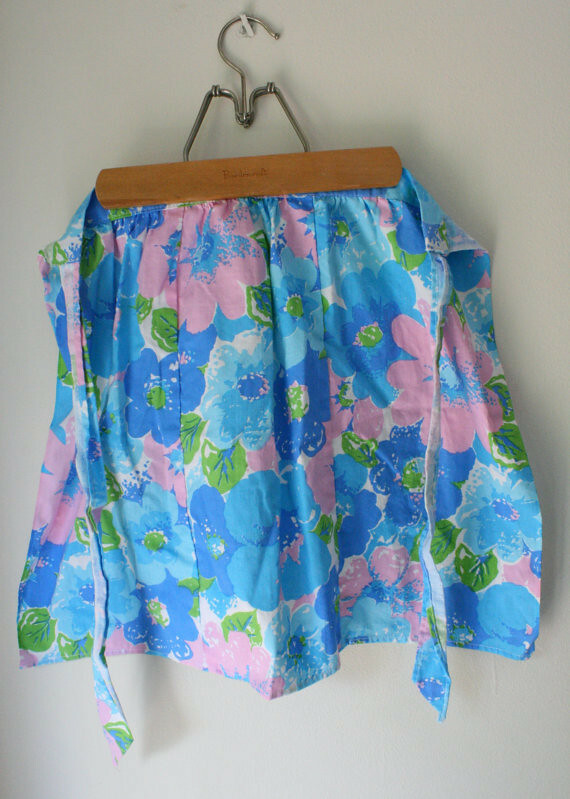 I'm thinking I'm going to have to start a vintage sheet sewing project soon. 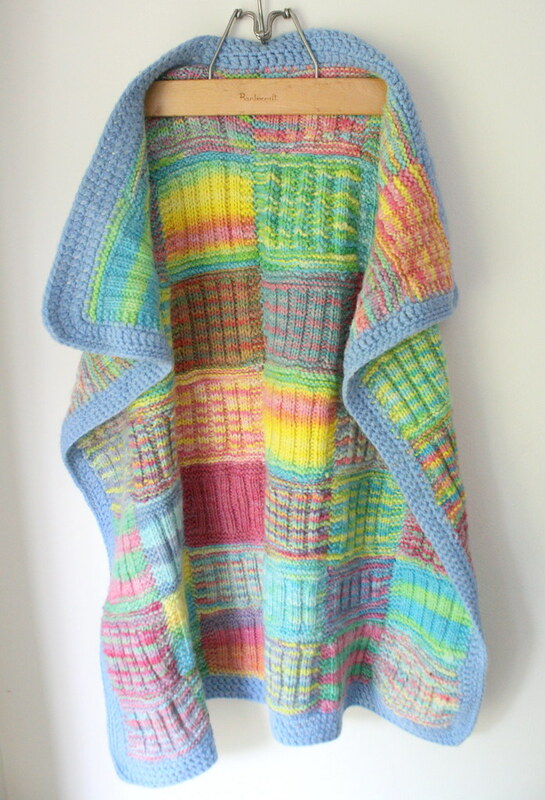 I also adore this knit patchwork blanket made with a variety of varigated yarn. It has never been used, which makes me think it was a baby gift that the recipient didn't use. 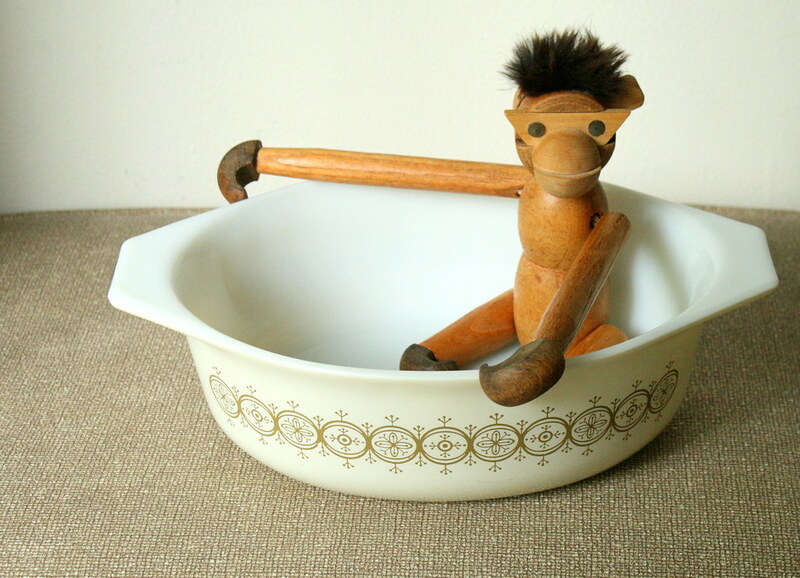 The maker can rest assured that this will be used and it will be loved! Check out Lolie Jane Vintage for some new goodies. There have been quite a few shop updates lately.